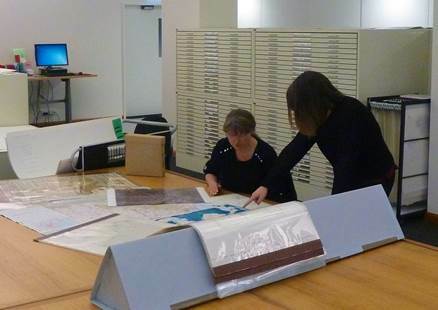 Its been 18 months since the NLA Maps reading room closed and general delivery of maps moved to the combined Special Collections reading room (open Mon-Thu 10-8 and Fri-Sat 10-5). In late July, works on the new Maps stack and staff area were completed. 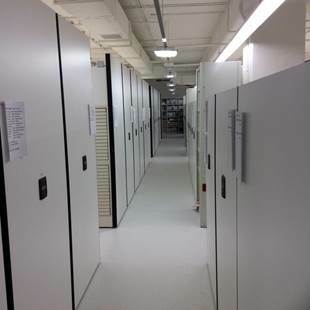 This has been a big effort by many teams across the library - to shift over a million maps and another million aerial photographs, build new compactus units, refurbish the staff area, and rehouse the whole collection. Now the works are done, a new 'By-appointment' research service is available on LG1, which can be booked by contacting Maps at nla.gov.au<mailto:Maps at nla.gov.au>, or through the Special Collections desk upstairs on Level 2. The new service on LG1 will allow readers longer term and closer access to the collection, to large map tables, and to the map curators. 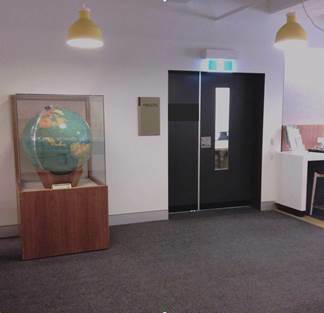 Maps research access is available Monday - Friday 9 am - 5 pm. Exclusive to IAG listers, we'd also like to offer you a personalised tour of the new facility (it really is worth seeing!). We'll outline the new 'By appointment' service, reacquaint you with the collection and discuss any research needs you may have. Contact me, and we'd be pleased to make a date to show you around. And if you have a particular research focus please let us know. You are welcome to pass this on to anyone you think might be interested.